Art, design, teaching, rustic furniture – have always been part of our creative repertoire at Cedar Lane Studio. 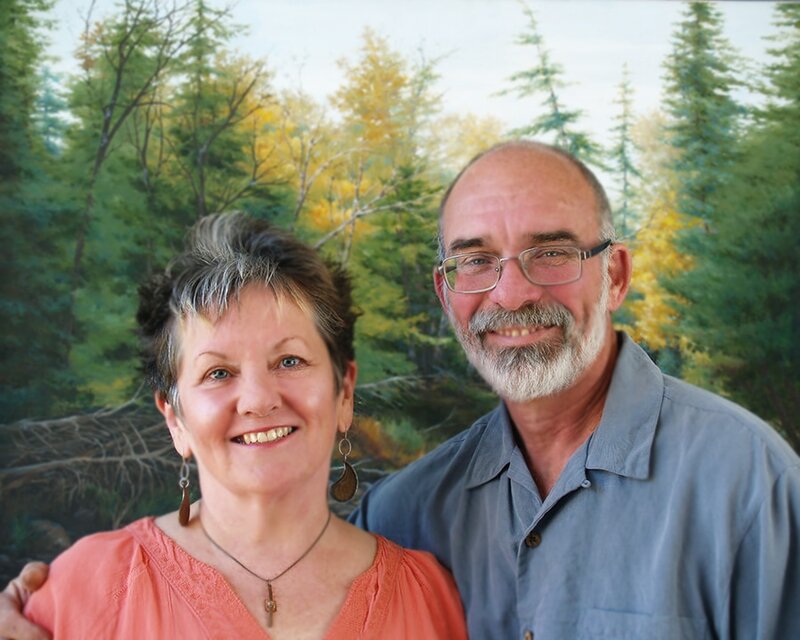 With graphic design career that has spanned 40 years (Mary), and handy-man work for the most part for Tom, we are now ready to pursue our passion for painting more fully. The header image here is a crop of one of Tom's traditional impressionist-style paintings (oil) of a scene from our trails. Our lovely property has been a source of inspiration and rejuvenation since 1991. Like our woodsy trails, our art over the years has followed many paths – a natural quest to follow inspiration as it is revealed. Located south of Ottawa along the 416 corridor (Spencerville), we are available by appointment, and by chance if our sign is OPEN. We look forward to showing you our work!